We have now completed the last 8th Sabbatical Week of Years and our future now heralds opening the “gates of heaven as the “Era of the Messiah” unfolds in the Jewish Year of 5777. During this era, it is the anticipation that King Messiah (Melekh HaMaschiach) will be revealed and we will be privileged to enter into a 4th dimensional state of elevated consciousness. What more would we want to know as we realize the following conditions that are unfolding? Are the “gateways of heaven” preparing to open up in response to the up-swelling of G-d’s chosen people, Jews and Lost Ten Tribe Israel alike from around the world in preparation for us to greet the revelation of the arrival of Metatron HaMaschiach (King Messiah)? The recent and amazing discovery of what appears to be the sardonyx-onyx “oracle stone” that could have been used on the Breast Plate of the High Priest of Israel in Solomon’s and King Herod’s temples is enough to shout for joy. But then we ask as we watch the cascading of prophetic events sweeping over the Middle East; Is the Almighty One of Israel preparing to revive the communication channel with the Levites, Priests and the High Priest of Israel (nominated) today? It’s imperative that our spiritual eyes must be opened as we prepared to comprehend these end-times scenarios that now are the “footsteps of the Messiah” making preparations for the new Temple of Jerusalem once again grace the Temple Mount in our near future. The Saga of the Revealing of the Oracle Stone of the High Priest began in the year of 2000 when a nationally renowned gemstone gemologist and appraiser was summoned to make a secret trip to South Africa. He was sent by a trusted but unknown acquaintance of a family in South Africa to evaluate a special stone held in the family estate for almost 1000 years. As reported in the Breaking Israel News Article titled, “Could Discovery of Lost “Urim and Tummim” Gem provide Form of Divine Communication. Breaking Israel News - “According to the Auret family tradition, the ancestor, named Croiz Arneet deTarn Auret, received the stone from “the High Priest” in gratitude for his part in freeing Jerusalem around 1189. The custodianship of the stone was passed on in the Auret family through the male line until the nineteenth century. That tradition was broken when Abraham Auret passed away in 1889, bequeathing the stone to his daughter, Christina Elizabeth. After Christina’s marriage to William James Hurst, the stone left the Auret name, and has been passed on from mother to daughter ever since. Meticulously recorded family trees and genealogical reports corroborate the story. The stone was passed on as an inheritance and is presently owned by an elderly woman in South Africa, who wishes to remain anonymous. BibleSearchers Reflections – “Before the Mongolian hordes could wreak havoc in the Middle East and seal its destiny with the land of Shi’ite Persia, the Mongols were allies with the Christian Crusaders. The messianic passions of the first millennial birthday of Jesus the Nazarene exploded into the First Roman Christian Catholic Crusade after the Church of the Holy Sepulcher (Roman Catholic site of the Tomb of Jesus) was destroyed by the “Mad” Shi’ite Caliph of the Fatimid Caliphate of Egypt. The walled city of Jerusalem soon fell under the assault of the Crusaders and the Knights Templars. This included the complete genocide of the entire Jewish and Islamic populations in Jerusalem. The anger of animosity and the rage for justice sealed the fate of the Catholic Christians and the Muslims alike. The Crusader States were formed as European dynasties in their greed for power and control. Each individual dynastic state sought to proclaim its land for the Vatican and the Pope. Prior to the time when it appeared that the Mongolian Il-Khanate hordes would destroy the whole landscape of the Middle East including Roman Palestine, there descended upon Roman Palestine the Roman Catholic Christian Crusaders seeking to gain a permanent foothold in the Holy Land. Over the centuries the Auret family continued to thrive from that one Knight Templar, Croiz Arneet deTarn Auret, that received the “stone” from “the High Priest” in gratitude for his part in freeing Jerusalem around 1189.” They knew that this stone was special but the “rest of the story” would have to unfold for another 800 years. We know that it was something special as their care of this stone was impeccable. First the main-line Jewish male to mare guardianship guarded carefully the “secret of the stone”. Yet, after hundreds of years, the male line descent went extinct and a daughter of the last guardian; Abraham died. His only daughter married and his from then on the "stone" was transferred from mother to daughter. What we have now learned is that that Jewish population in Jerusalem at the time of the First Roman Catholic Christian Crusades, was virtually wiped out when the city of Jerusalem was conquered in the year of 1187. Here we can witness the Auret genealogy as preserved by the descendants of that one lone Knight Templar, for during the extreme destruction to the city of Jerusalem that occurred in that historic era when the Jewish High Priesthood no doubt was not in existence, but there truly could have been a Patriarch in Jerusalem in 1187, who ruled over Jerusalem like the Jewish Exilarchs in Baghdad ruled over the Jews in the Middle East for 1260 years. It was the providence of G-d who knows the future as well as the past, and chose this one lost Christian Knight Templar crusader who may not even have known of his Jewish roots and would through his family’s descendants the custodian of the “Urim or the Thummim” and would be protected. The identity of the Auret family may have been changed to “hidden Jews” in Spain to “Huguenot Calvinists” who were persecuted over the centuries in southern France until they found protection in the Netherlands; a land that has been blessed with innumerable Jewish sages and rabbis who understood truly the “act of Divine Providence. Jeremias Auret, was born about 1720, in s’Gravenhage (Den Haag), in the Netherlands. He died 21 August 1786. His father was Jeremie Etienne Auret and his mother was Maria Anna Robiquè. They were most probably French Huguenots who fled from Nantes to the Netherlands. Jeremias Auret married Mariana, (Maria Anna?) Grovè (Groves? ), born 1721, identified as the widow of a bookkeeper, Daniel Brousson, on 11 February 1748, in Cape Town – so at some point he must have emigrated to South Africa. Jeremias and Mariana had 5 children: 1. Anna Maria Auret, d. 1 March 1805 2. Jeremias Auret, b. 8 May 1749, in Cape Town, d. October 1794, Simonstown 3. Maria Hendrina Auret, b. 1753 4. Petrus Auret 5. Andries Auret, B. 1759, d. before 1800. The second child, again called Jeremias Auret, and Mariana had 8 children: 1. Jeremias Auret, b. 1775 2. Beatrix Saatje Auret, b. 27 November 1776, d. 2 October 1852, Greenpoint, Cape Town, South Africa 3. Maria Anna Auret, b. 1778, d. 8 January 1806 4. Abraham Auret, b. 1780, d. 1789 5. Petrus Auret, b. 1783, d. 1841 6. Fredrik Auret, b. 1785 7. Hendrik Pieter Auret, b. 1788 8. Abraham Auret, b. 1791, Simonstown, South Africa, d. about 1865, Cape Town, South Africa. The eldest of the 8 children, again called Jeremias Auret, had 9 children, of whom the second, Willem Petrus Auret, born 1806, had 5 children of his own. One his his off-spring lived and died in Namaqualand about the same time as Hendrik Andries Auret, my ancestor, born 1861. The legitimacy of the Auret family lineage appears intact and those who were part of the migrations of the Huegenots Netherland peoples to the Cape region of South Africa and also a part of the French Huguenots who fled from Nantes to the Netherlands during the pogroms of the Huguenots of the French King Louis the XIV. Auret Family Origins - “The earliest found reference to the Auret surname in the Cape, in South Africa was not from Kalkbaai, but from Simonstown, very close by. The eldest of the 8 children, again called Jeremias Auret, had 9 children, of whom the second, Willem Petrus Auret, born 1806, had 5 children of his own. One his off-spring lived and died in Namaqualand about the same time as Hendrik Andries Auret, my ancestor, born 1861. The legitimacy of the Auret family lineage appears intact as they were part of the migrations of the Netherland peoples to the Dutch colony in the Cape region of South Africa and also a part split off and went underground as part of the French Huguenots who fled from Nantes to the Netherlands during the pogroms of the Huguenots of the French King Louis the XIV. Genealogical hints, as we can see suggest that the Auret family became Jewish Huguenots and later hid under the cloak of Protestant Reformation Calvinism. There was a certain Roman Catholic cardinal, Nicholas Wiseman of England whose father was Irish and his mother was a Spanish speaking “Xaviera Strange” which is derived from the surname of L’Etrange which meant “stranger.” The cardinal was born in Barcelona and his family lived in Spain for business. There were other “Wiseman” (Weismann) such as he who lived and appeared native to Spain. What is more important to perceive today is that it was the will of the Divine that this certain Onyx (Sardonyx) was put in the hand a one Knight Templar in the year of 1189. This occurred only two years after “Saladin” captured the city of Jerusalem and the Jewish Holy City returned to the hands of Islamic rule when he, Saladin captured Jerusalem on October 2, 1187. Was the Sardonyx Stone a Magical Stone or a Prophetic Stone? The stones of the choshen mishpat, the High Priest’s breastplate, were referred to in the Bible as the urim v’tummim, a phrase that defies human comprehension. Exodus 28:30 – “And thou shalt put in the breastplate of judgment the Urim and the Thummim; and they shall be upon Aharon’s heart. Over the centuries, researchers and experts have argued as to how the ancient Israelites could have shaped, polished or engraved carved words on gems; much less faceting of ancient gemstones. In the Talmud (Yoma 73a) it describes how questions to HaShem were put to the breastplate, and the stones would light up to spell out the answer. The book of Samuel lists the urim v’tummim as one of the three forms of divine communication: dreams, prophets, and the urim v’tummim. This was further highlighted when King Saul sought answers from the Holy One of Israel. During the final assault and destruction of the Holy Temple of Solomon in Jerusalem it was documented in the Babylonian Talmud (Yoma 21b) that the urim v’tummim were lost. It was the Jewish cleric, Ezra the Scribe who verified such a fact and it was recorded that in the first and the second wave of the emancipation of the Jews back to Jerusalem, Ezra noted that there were individuals who were unable to prove of their ancestry. Ezra took dim view of those Jews whose ancestry were unknown to themselves so after the Babylonian captivity had ended, and the emancipation of the Jews were back living in their homes in Jerusalem, those that were descended from the priesthood before the captivity began were required to wait until priests had in their possession the urim v’tummim that had been discovered. At that time priestly ancestry of the House of Zadok, the High Priest of Kings David and Solomon could be verified. As far as the rest of the returnees to the Jerusalem and the Land of Israel, those who could not testify to their ancestral genealogies; they would have to return to Babylon. In addition to the 12 stones mounted on the breastplate were two sardonyx stones fixed in gold settings on the shoulders of the High Priest. This stone may be that one lost stone. Experts believe this is one of those stones. If this is so, contained within this amazing stone is the power of prophecy and it may play an important role in returning the Levitical Priestly Caste to serve in the New Third Temple. Dr. James Strange, Professor of Religious Studies at the University of South Florida, was the first of many experts on this stone seeking to find the mystery of its purpose. Even more amazing than the stone’s cut was the mysterious inscription buried within the stone, visible through the clear surface: two letters in ancient Hebrew. Even more amazing than the stone’s cut were the mysterious inscription or letters buried within the stone. Visible through the clear surface on the Onyx stone were two letters in ancient Hebrew, the Hebrew letter Bet, and the letter, Kaf. According to the Talmud (Yoma 21b), the precious stones worn on the High Priest’s garments were lost when Jerusalem was sacked by the Babylonians. There were 12 stones mounted on the breastplate of the High Priest and two sardonyx stones were fixed in gold settings on the shoulders of the High Priest. As the historical texts in the TaNaKh attested; experts believe this stone is one of the stones missing for centuries since the destruction of the Temple of Solomon. If restored to the right hands, this small stone could play a major role in the reclamation, restoration and the redemption of the Lost Ten Tribes of the House of Israel. Have we not witnessed amazing testimonies in the last six months as the priestly caste of Levitical Cohens are diligently preparing to serve in the restructuring and the reinstitution of the temple services? This has been practiced in living reality over the past Spring Festival of Pesach in the spring of 2016 and the Fall Jewish Harvest Festivals at Rosh Hashanah, Yom Kippur and Sukkot. Now, as we have entered the Jewish year of 5777, HaShem (The Name) is welcoming us to “lift up our eyes, so we can see” the fulfillment of G-d’s salvation. The enigma of the stone continued to increase. Dr. Strange reached out to Ian Campbell,, Director of the Independent Coloured Stones Laboratory in Johannesburg, a leading South African gemologist. Campbell was equally dumbfounded by the unusual features of the stone. Dr. Strange initially thought the owner’s story placing it on the High Priest’s garments was inconceivable. But the family had documentation that traced its descent from a Crusader-period male ancestor who was in the Holy Land in the Middle Ages and claimed the stone was a reward from the High Priest. The stone was passed down within the Auret family through the male line until the nineteenth century. That tradition was broken when Abraham Auret died in 1889, leaving the stone to his daughter, Christina. She in turn married a William James Hurst and with the stone in her possession continued to be passed down from one female descent to another. After her marriage to William Hurst, the stone left the Auret name, and was passed from mother to daughter. The family’s genealogical reports continue to substantiate the story. Currently the stone is in possession of an elderly woman in South Africa, who wishes to remain anonymous. It was Dr. Strange’s investigation that revealed that the stone had no external markings. It was never set into a ring nor in a necklace. It most likely use was set within a “large plate like the breastplate of the High Priest. According to Dr. Strange, the production of the stone and the engraving would be dated to approximately during the 5th century BCE. Yet, even more so, the intrinsic value of such a gemstone that is tied to the most glorious of all the temples of the world; King Solomon’s Temple. It is Priceless!! Considering the stone’s unique historical significance, he appraised the stone’s value at $175-$225 million. It was the gemologist, Ian Campbell, who photographed the stone with a microscope and thus confirmed that the stone had not been cut open to make the inscription. The owner of the stone later consulted Professor Moshe Sharon from the University of Witwatersrand. Dr. Sharon was educated at the Hebrew University and the University of London, and has conducted research in Oxford, Paris and Dublin. As the professor, an expert in ancient Hebrew and Arabic epigraphy, explained, he was amazed to see clearly inside the stone itself the two letters in ancient Hebrew. The letters seemed to be engraved or burnt into the heart of the stone. Dr. Moshe Sharon noted that the inscriptions were in ancient Hebrew script of what he described as “the equivalent of our ‘B’ and ‘K’.” He identified the style of script, dating it to be from the year 1000 B.C., the era of Kings David and Solomon. It was Dr. Joan Westenholz who immediately noted the context of the “wolf of Benjamin” on the engraving when the Patriarch Jacob blessed Benjamin, the younger brother of Joseph, when Jacob gave this oracle, just before Jacob’s death. Dr. Westenholz and Ian Campbell have since passed away but their participation in the investigation of what could most possibly be the Urim v Tummim and their documentation of the genuine nature of this magnificent stone gives us pause to comprehend the intent of the Holy One of Israel. These are the “end times” and we care in the final days when the mega-forces of the Maschiach ben Yosef (Messiah son of Joseph) and the Maschiach ben David (Messiah son of David) will converge. At that time the universal meta-force of Metatron or Mem-Tet, the true Melekh HaMaschiach (King Messiah) will be perceived and seen when the messianic process will be completed and all 12 Tribes Israel will be and all 12-Tribed Israel will be of one accord. Here is potentially the Biblical Urim v Tummim and the ancient Papyrus casket in which the Sardonyx Stone was protected over the last 838 years; is now prepared to be revealed in its fullness. It was in the year of 1089 a lone Knight Templar, Croiz Arneet deTarn Auret, was rewarded by the current Patriarch of Jerusalem who was acting in the place of the High Priest. He was given this 3600-year old relic ordained by the Holy One of Israel when He gave the instructions to build the Wilderness Tabernacle including the Golden Garments of the High Priest plus the Breast Plate of 12 Jeweled Gemstones, where on the High Priest’s shoulders were placed the two oracle stone; the Urim v Timmim. Breaking Israel News - “The present owner has contracted with a South African businessman to find investors who are willing to purchase the stone and bring it home to Israel. Both parties prefer to remain anonymous. When he saw the stone and understood what it was, the businessman was dismayed, understanding that it could easily turn into a commodity, an object of greed. He recognized that this small stone was an enormous part of Jewish history and set out to find an investor who would recompense the owner with the intention of bringing it to Israel and donating it to the Temple. 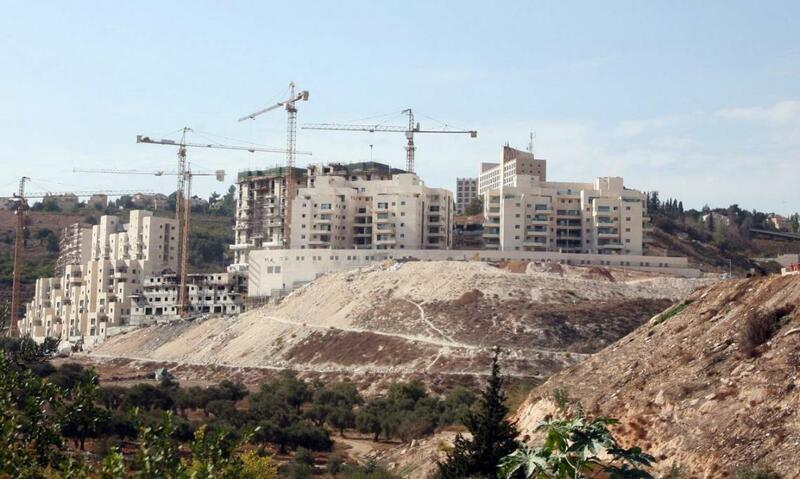 “I’ve been involved with deals like this before,” he told Breaking Israel News. “There are pieces of Egyptian heritage in museums all over the world. People find something and sell it, without thinking about what it is. That is what is done and it is a shame, even more so with this stone. Our preparation is a pathway of spiritual readiness for a world of peace. Our defender is the Metatron, the Lord of hosts. The time of the end suggests that the Eternal One of Israel’s intent is to close out this chapter of earth’s history so that the perpetrators of evil, those that seek power, greed and control, will be eliminated from this planet earth. The wars of the heavens are being played out on this planet earth and humans will live through it to testify of the might, power, justice and the love of the G-d of Israel. The State of Israel is facing its day of judgment from HaShem, the One G-d of Israel. The Land of Israel is under assault by the Ishmaelites whether it be Hezbollah, ISIL, Hamas and the Muslim Brotherhood and soon to come, Turkey and China. The Jews in the land of Israel will soon discover that the foundation of their own democracy is crumbling as the political leadership in Jerusalem and Tel Aviv refuse to accept the divine mandate that to live in the land, you must “possess the land”. Though the land of Israel was given to the Jews in 1948 by international consent, she refused to possess it, and the day of reckoning is shaking the political, social and religious foundations in Israel today. The sad truth is that Israel’s current political, judicial and religious leadership in part is clueless and in a few more months, trials and tribulations may come before they are willing to accept in literal reality their divine mandate. At this time all we can do is pray to HaShem, the One G-d of Israel to reveal to us the Maschiach ben Yosef (Messiah son of Joseph), who is the Messiah of our generation. His mission will be to protect the Jewish lives living in the Land of Israel protect and protect their active participation in the billons of human hours spent in developing the infrastructure of the future Land of Israel. This includes the building up the foundations of the ancient city of Jerusalem and the modern Tel Aviv, plus the building unwalled cities, towns and villages, tilling farmland, planting orchards creating businesses and industry that are the envy of the world. “This Land” is what the Divine Will of G-d has revealed by the prophets to be the future Restored Gan Eden and the “Kingdom of G-d” that will once again be planted on Planet Earth. Expansion of the Land of Israel across the Jordan River and onward to the Gates of Damascus. According to the Sages of Judah, in the future the “World to Come” both houses of the House of Jacob will be restored. This includes all the Jewish living in the Diaspora and in the Land of Israel plus all the Lost Ten Tribes of the House of Israel living anywhere on Planet Earth. The extent of this massive Aliyah has been evaluated carefully by the visionary Orthodox Jewish founders, OvadYah Avrahami, and Rabbi Avraham Feld of “Kol Ha Tor” in Samaria carrying forward the mandate given by the legendary and revered rabbi, Rabbi Elijah ben Shlomo Zalman in Lithuania called the “Genius of Vilna” or best known as the Vilna Gaon in the latter half of the 18th century. They have concluded that upwards to 2 to 3 billion of the Lost Ten Tribes of the House of Israel will immigrate or flee in “Aliyah” also to the Land of Israel as prophetically mandated by the Holy One of Israel. This will be by forced evacuation in war, planetary climate catastrophes, or a new reality as they also are transformed by a new awareness that they are the Lost Ten Tribes of the House of Israel. In as much as we, as the Lost Ten Tribes have failed to honor and sanctify G-d’s Holy Name, He and He alone will reclaim, redeem and restore us back to “the lands of our forefather”. This mandate, an “act of G-d” will not be changeable by any human or global world order. (Ezekiel 36). Yet to do so, the borders of the Land of Israel will have to expand beyond the wildest dreams every Jewish person in Israel today; left or right, secular or religious, the politicians in the Knesset, the Justices in the Supreme Court. This will include all the Industrialists that make the Land of Israel the most productive land in the world and set the standards of modern technology that will be elevated to “Sacred Technology”. As the Chazal have spoken so eloquently in the past, the “Twin Messiahs” called the “Trein M’shechin” will fulfill their divine roles by raising the human dreams and aspirations first by the Maschiach ben Yosef, the Messiah of the “Last Generation” preparing to fulfil his divine role of the Maschiach ben David, the Messiah son of David. This will be to raise up human three-dimensional expectations in preparation for the “Final Generation” prepared to enter into the Era of fourth-dimensional consciousness called the “Era of Messianic Consciousness”. As the crisis of World War III (“Daniel 8’s “Prophetic Ram and the He-Goat”, Ezekiel’s “Gog-Magog III” War, Zechariah’s “All Nations surround Jerusalem War” or the enigmatic Essene’s “Armageddon” is beginning to unfold, the political imperialist leaders of the world have already surrounded Israel with their advanced military weaponry and have wrapped up the State of Israel like a cocoon. The threat of a rapid escalation of a nuclear war, and the rabbinic warnings of the coming apocalypse are rising like a crescendo. This will soon shake the foundation of the Jews living in the State of Israel and the Jews of the Diaspora in Europe and their colonies around the world like America; to their very core. Why so you ask? With conservative estimates, the Jewish Core population in Israel is 6.1 million citizens and America numbering almost 6.8 million Jews. The number of Jews in these two countries total almost 13 million Jews today. With the addition of Europe’s 1.1 million Jews, now over 14 million Jews may be expected to need homes in Israel as they return from their homes worldwide to live in the Land of Israel. So why are the religious rabbinic and state leaders of the Nation of Israel so oblivious to these merging statistical catastrophes? The primal reality is that the State of Israel will have to expand their borders far beyond their wildest dreams. This time it will not be the remnant of the Jews returning to Israel before and after the Shoah, the “Jewish Holocaust” but rather it will be the burgeoning cry of millions of European and American Jews with possibly many others scattered around the world who will wish to make Aliyah to live in the Land of Israel. Here we are introduced to the David Cardozo Academy and Think Tank that was founded to infuse new life into traditional Judaism and revolutionize Jewish spirituality and learning. Today its “programs include: the Cardozo-Kagan Jewish Leadership Program; a Think Tank forum of Jewish thinkers, educators and leaders; the Jerusalem Lecture Series addressing topics rarely discussed publicly in observant Jewish circles; and other programs. The Academy also strives to spread its mission through ongoing publications, serving as a catalyst for discussion, debate and innovative thinking.” Let us become absorbed for a few minutes in these revolutionary new concepts and futuristic ideas. 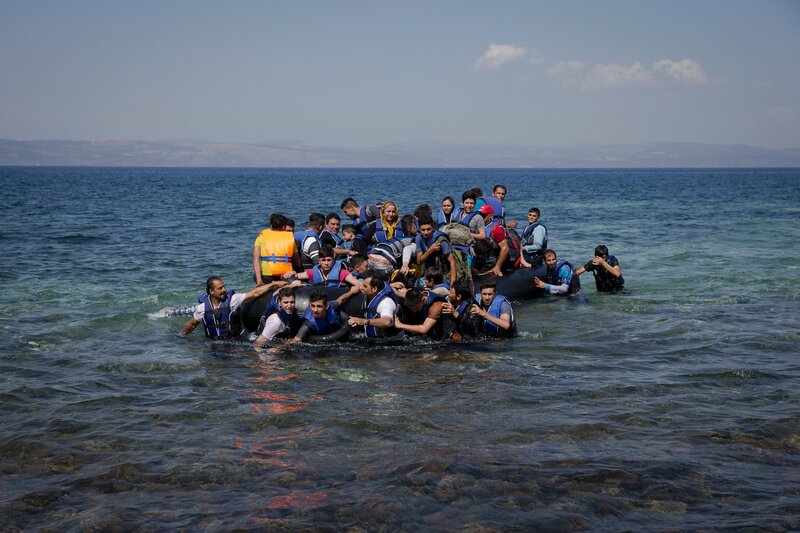 Rabbi David Cardozo – “As Europe is disintegrating before our very eyes, it’s only a matter of time before more and more Europeans will be seeking safer havens. And where else would they want to go but Israel? It is obvious that such emigration is drawing near. Since the Holocaust, Europe has been going downhill. It allowed the murder of six million Jews, thereby destroying many of its most dedicated citizens, a large part of its culture, and some of its most gifted physicians, scientists, artists, thinkers and business people who contributed to its flourishing culture as well as to its domestic and international trade. Millions of its gentile inhabitants (the Hidden Lost Ten Tribers of the House of Israel) were wiped out as well, and what remained was an impoverished and miserable continent. There is merit to the claim made by some that Europe died in Auschwitz. In its attempt to rebuild itself, Europe worked hard to revive its economy and re-invent its culture. It tried to turn the tide and remove from its midst any form of racist ideologies. To accomplish this, it had to become multicultural and put nearly no limits on its immigration quota. Europeans have therefore justifiably invited many emigrants from war-torn and impoverished countries, thus unwittingly allowing ISIS and other radical organizations to settle in their cities and organize terrorist attacks with the clear goal of bringing Europe to its knees. Motivated by panic and fear of retaliation, European leaders have lost all sense of proportion and are now doomed to pay the price. Clubs, cafes, and restaurants closed their doors, and it won’t be long before we see large army battalions walking through every major city in Europe, followed by the shutting down of airports and other major public venues. Eventually, all normal life will be disrupted, and societies will no longer be able to function. The United States did not learn its lesson from 9/11 and has paved the way for the Iranian nuclear bomb. Only several days before the Paris attacks, President Obama informed the world that ISIS was contained, if not totally defeated! The most astonishing fact is that the Israeli government has been alerting the world for years that this would happen. It warned that if terrorist organizations such as Hamas, Hezbollah and others in the Middle East would not be completely neutralized, their lethal intentions would be carried out in Europe and the United States, after which they would spread their deadly tentacles to all corners of the earth. But instead of heeding these words, many world leaders have decided that the only way to stop the terrorists is for Israel to cease building a few housing projects in Judea and Samaria. These leaders refuse to admit that the Palestinians would have had their state years ago had they simply stopped indoctrinating their children with hate against Jews and accepted the tiny, peaceful State of Israel that dwells in their midst. On top of that, Europe has decided to boycott Israeli products coming from what it refers to as “the occupied territories.” Fooling themselves into believing that this is the solution to all the devastatingly lethal global problems, they use it as a pretext to cover up their own horrendous mistakes, and it has now become standard procedure. It doesn’t seem to bother the Europeans in the least that their boycotts harm the Palestinians working in the West Bank more than they harm the Israelis. Europe thought it could continue to live in peace by tranquilizing itself. Out of a desperate need to deny the truth, it has utterly misconstrued the nature of its enemies and has by now exposed its countries to dangers so deadly that it will be impossible to stop them by any means. Everyone knows that once things calm down – nothing more than a tactic on the terrorists’ part –they will decide that no further action is necessary and will return to their former comatose state, only to be awakened when disastrous events, much greater than the ones they have experienced until now, will suddenly befall them, shocking their leaders and overwhelming all Europeans by causing multiple, heavy casualties. When that happens, Europeans will throw up their hands in despair and look for an alternative place to live. Americans, too, will want to move and settle in more peaceful countries. They will come to the conclusion that of all the Western world countries Israel is the only place where they will find the tranquility they desperately desire. The reason is obvious: Israel is the only country possessing the combination of know-how and willingness to fight its enemies head-on and is prepared, if necessary, to go all the way. Precisely because of Israel’s long and ongoing experience with terrorism, there is a smooth-running synergy between its citizens and security forces when terrorists strike. With rare exceptions, people maintain equilibrium under immense pressure. For this reason, Israel is safer than many other countries. And so, to everyone’s surprise, Israel will be THE destination. As when an epidemic strikes, people will want to pack their bags and move here. But this will require a major shift in the European attitude toward Jews. Instead of hating us, Europeans and Americans will investigate their lineage and by hook or by crook will suddenly “find” that they are actually of Jewish descent, as in the case of the many anusim (conversos) today in Spain and Portugal. Millions will apply to Israeli embassies and claim that on the basis of the Law of Return they have a right to live in Israel. Even committed Anti-Semites will “discover” their Jewish ancestry, and an entire black market of Jewish pedigree documents will appear. El Al will immediately have to order a myriad of aircrafts to accommodate all these immigrants, since nobody will want to fly any other airline because of safety and security issues. More and more people will leave Europe, once again turning it into a continent devoid of capable men and women they so desperately need to carve out their future. All those men and women will be on their way to Israel. When this prophetic vision actualizes, the Mashiach will be on his way to ensure that all goes well. A daunting task! May he succeed!! Do you think it’s paradoxical that Germany, the nation that was most instrumental in the destruction of the Jews of Europe, emerged after the war as the dominant European power? Does that contradict the idea that nations who persecute the Jews will meet their demise, or does it demonstrate the power of Teshuva (repentance)? Do you think that total defeat of Hamas, Hezbollah, ISIS, or all three could bring about a transformation in the Arab world similar to the transformation that took place in Germany after her capitulation? If Israel has been warning other countries that groups like Hamas and Hezbollah must be neutralized, do these warnings have any force when Israel herself has sought calm rather than seeking purposefully to destroy them? Is this essay a parable of what could have been had Israel indeed been a dazzling “light unto the nations,” illuminating the way to deal with radical Islam? Although Israel may not have met the challenge of neutralizing her enemies as effectively as possible, will hostility to her nevertheless be lessened? Will there be more empathy for her situation, and more respect for her response, which, although imperfect, still serves as an example to the nations of the world? Alternatively, will the special standard reserved for Israel survive, despite the increased exposure of other nations to challenges like those that have confronted Israel for generations? Will it require a Messianic renaissance of the Jewish people to neutralize the application of this separate standard? Do you think that there is scope for a radically effective Israeli response to a threat such as that of radical Islam as long as the Israeli system of government is modeled on the systems of the nations who are now struggling vainly to deal with the threat? Does Israel need to adopt a system of government built squarely around Jewish ideas in order for this parable to be realized? The David Cardozo Academy was founded to infuse new life into traditional Judaism and revolutionize Jewish spirituality and learning. Its programs include: the Cardozo-Kagan Jewish Leadership Program; a Think Tank forum of Jewish thinkers, educators and leaders; the Jerusalem Lecture Series addressing topics rarely discussed publicly in observant Jewish circles; and other programs. The Academy also strives to spread its mission through ongoing publications, serving as a catalyst for discussion, debate and innovative thinking. which “Kol Ha Tor” is a participant. And remember that this journey will open up for you a “new life” with the realization that as a Lost Ten Triber of the House of Israel that you have a destiny to fulfill, to prepare to return to the Land of your Forefathers and rejoin in unity with the your brothers, from the Lost 10 Tribes of the House of Israel and the Jews from the House of Judah. The Pathway of a 98% Solar Eclipse sends Omens across Northern Europe, the land of the Lost Tribes of Israel inhabiting Northern Europe. As the sun raced across the heavens in UK and Northern Europe, millions of Scots and Brits witnessed the best solar eclipse seen in decades. As the Moon covered up the Sun along the Sun’s pathway across the heavens, between 93% and over 98% of the Sun was covered from 9:23 GMT forwards. Only the limitations on weather visibility could hinder this rare, once in the history of mankind event. But what was the significance? Millions of people witnessed the best solar eclipse in years seen from the UK and later in northern Europe. A path of the sun across the surface of the Earth's surface plunged Northern Europe into darkness as the Moon covered up the Sun. Those who were able to board pan-Atlantic fights had the best opportunity to observe the solar eclipse; beaten only by the photography purported taken from the International Space Station. This was later detected as a fraud and to be a computer generated picture. This exceedingly rare solar eclipse did occur on March 20, 2015 and included a total eclipse of the sun for two minutes over the North Pole. This celestial event did also occur in a very poignant pattern that would demonstrate also a manifestation of the Divine’s intent of the G-d of Israel to awaken His chosen people that the “time of the end” is near. Rightfully so, the Orthodox Jewish Tzaddiks also concur that a coincident never happens for in this case all the stellar events in the heavens were put into action at the creation of the universe and are a demonstration of G-d’s divine will to intervene at a chosen period of time. The facts attest that in the Jewish Year of 5775 (2015), numerous predictions are floating around the world that the “Era of the Jewish King Messiah” is at our doorsteps. This could occur as early as Rosh Hashanah 2015 when the 49th year Motzei Shmittah Year called the Yovel year of Jubilee will begin in the Land of Israel. Let us figure this out. A total solar eclipse occurs at the North Pole on the Spring Equinox, the first day of spring. It was a stellar event that occurs only once every 100,000 years. The fact that it did occur on the first day of the first month of the biblical calendar year is incredible and unprecedented in earth’s history. Since this is the Jewish year of 5775, such an event, as a complete solar eclipse occurring on the Spring Equinox now becomes the first time it has occurred in human history; ever! While religious and spiritual leaders were seeking a meaning in these celestial events, the fact that it occurred in such an alignment gives us pause. Other Christian leaders continue the debates about the meaning of the celestial tetrad phenomenon in which there will have soon occurred four blood moons in two yearsthat occurred on Passover and Succot in 2014 and will again occur on Passover and Succot in 2015. To them, these stellar events are a “sign of the times” that HaShem, the G-d of Israel is watching over his own people and giving them advanced warning that a divinely guided event is about to happen. Blood moons are full lunar eclipses in which the sun’s rays entering through the earth’s atmosphere make for a red, or blood-like appearance. Two instances of the current tetrad have already occurred, on April 15, 2014 (the Jewish Passover) and October 8, 2014 (Sukkot, or the Feast of the Tabernacles). The next blood moon is scheduled for April 4, 2015, the first day of Passover this year and two weeks after the upcoming solar eclipse and the second “Blood Moon” will occur on September 23, 2015 at Yom Kippur. Blood moons occurred both at the time of the Spanish Expulsion of the Jews from Spain and the discovery of the New World in the year of 1492. It also occurred in 1948 when the State of Israel was establish with their declaration of Independence. Here we witnessed the great hand of the Divine stirring up the nations of the world as we then witness the “time periods “that begin with tragedy and end in triumph for the Jewish people.” As such Pastor John Hagee will be screening an epic saga in selected theaters on March titled, “Four Blood Moons: Something is About to Change”. Ezekiel 36 – “Ezekiel 36:22-23, 24-28 (parts); 33- - “Therefore, tell the house of Isra’el that Adonai Elohim (L-rd G’d) says this: I am not going to do this for your sake, house of Isra’el, but for the sake of my holy name, which you have been profaning among the nations where you went. I will set apart my great name to be regarded as holy, since it has been profaned in the nations – you profaned it among them. They will know that I am Adonai,’ says Adonai Elohim, ‘when, before their eyes, I am set apart through you to be regarded as holy. So was it a coincidence that the day of the Solar Eclipse, according to DEBKAfiles that the nuclear talks in Lausanne were broken off on Friday, March 20, This occurred as the five main negotiating points between the American Secretary of State John Kerry that had already been agreed upon with the Iranian Foreign Minister Javad Zarif. But suddenly the Iranian delegation from Tehran was ordered to return home immediately for consultations when the sixth round of talks broke down. Iran can’t be allowed to retain all the 6,500 centrifuges (for enriching uranium) conceded by the Americans. This figure must be reduced. Similarly, the stocks of enriched uranium accepted by the US to remain in Iranian hands are too large. France insists on a longer period of restrictions on Iran's nuclear work before sanctions are eased. They were pushing for a longer moratorium – 25 years rather than the 15 years offered by the Obama administration – and guarantees at every stage. The main sticking point however was France’s insistence that UN sanctions stay in place until Iran fully explains the evidence that has raised suspicions of past development work on a nuclear warhead design. President Barack Obama may have met his Waterloo when he called the Elysée Palace on Friday night, March 30 and the next day Kerry slammed his face against the wall when the French President France Hollande was not impressed with how the route to a nuclear accord taking was taking shape between the US and Iran. US Secretary of State John Kerry fared no better Saturday, when he met British, French and German Foreign ministers in London for a briefing on the talks’ progress. The Europeans were not impressed. The French are beholden to their strong ties with Saudi Arabia, the Gulf States and the United Arab Emirates as France has military bases in the Gulf and air and units in Saudi lands plus the UAE with a flourishing market for the French munitions industry. If you consider the existential threat to Israel by a Nuclear Iran, consider the fact that Riyadh and Abu Dhabi see Iran as a grave risk against their national security. As the “Black Sun” was reaching its climax over Northern Europe, a new danger was haunting the Lost Ten Tribes in Northern Europe as they were being propelled by the American White House towards what appears to be the beginning of a nuclear war against Russia. These “Drum beats, pounding for war” have continued unceasingly for over a year. Today, we live in a glass house where nobody is protected anymore. The “hot blood of war” gives us only the symbolism of “Blood Moons” that have been shouting down from the heavens by the Creator of the Universe. With no longer a news media that is willing to give the truth, we do not know the fates of any of our lives. And consider the facts that the “Black Sun” that the One G-d of Creation who put in this heaven 5775 years ago, knew also what was happening on March 20, 2015, for according to the Jewish calendar, the omens and warnings will shout from the heavens, “Prepare yourself for the Day of the L-rd” with the “Blood Moons” on Passover April and Succot in September, 2015. Isaiah 13:9-11 – “The Final Days Of TimeBehold, the day of the L-RD is coming, Cruel, with fury and burning anger, to make the land a desolation; and He will exterminate its sinners from it. Two instances of the current “Blood Moon” tetrad have already occurred, on April 15, 2014 (the Jewish Passover) and October 8, 2014 (Sukkot, or the Feast of the Tabernacles). The next “Blood Moon” is scheduled for April 4, 2015, the first day of Passover 2015 and two weeks after the “Black Sun” solar eclipse of Spring Equinox on March 20, 2015. Was the UK preparing a Nuclear Holocaust against Russia by Redirecting Internet Traffic from Houston to Frankfurt (Home of the Rothschild Banking Industry) to Kiev and then to UK? What Does it Mean – “On 24 February 2014 we published the report titled Putin Orders Troops to Crimea Passes, Warns NATO of War. And then on Sunday, March Well, just this past Sunday, President Putin revealed to his nation that Russia prepared for nuclear war after last year’s pro-Western putsch on February 21-22 (2014) in the Ukrainian capital, Kiev….we warned YOU two days later. Likewise, last weekend when the US mainstream press was all a flutter over the “disappearance” of Putin with articles suggesting he had been deposed, his girlfriend was having a baby in Switzerland, he was sick and near death, etc., we published our report Russia Warns “State Of War” Exists As UK Nukes Prepare First Strike wherein we stated that Putin was “under the protection of Ministry of Defense”. In our 15 March report, Obama Meets With Top Russian Spy, Alexander Bortnikov whom Obama says He Can’t Stop War, we also informed you that President Obama had over the past 11 months met with Russia’s top two spies who the US had not put on their sanctions list like the EU did, including the director of the FSB just last month met with Obama in the White House. And then it has been revealed that the White House ordered the first strike launch code to strike Russia on March 16, 2015, but was refused the code by US Navy Captain Heather E. Cole was the commander of the US Navy’s Strategic Communications Wing 1 located at Tinker Air Force Base in Oklahoma. US Navy Captain Heather E. Cole was the commander of the US Navy’s Strategic Communications Wing 1 located at Tinker Air Force Base in Oklahoma whose E-6B Mercury aircraft provide the communications links allowing President Obama and US Secretary of Defense Ashton Carter to directly contact the submarines, bombers and land-based missiles that comprise the United States strategic nuclear force. On 19 March we then reported to you, Top US Commander under Arrest for Refusing to Fire Nukes at Russia, about the arrest and detainment of the top US Navy officer tasked with relaying the launch codes from Obama to his nuclear forces. And yesterday, 20 March, in our report “Prepare For Nuclear War” Russia Warns Citizens As US Tanks Flood Into Europe, we informed you that Russia had ordered all companies and employers to prepare for nuclear war and how the US has been flooding Europe with tanks and armored vehicles…just 11 months after they had trumpeted about their having removed them all last April. “A new Ministry of Defense (MoD) report circulating in the Kremlin today states that the Ministry of Civil Defense, Emergencies and Disaster Relief (MChS) has issued an order for all companies employers to prepare for nuclear war, while at the same time the Ministry of Foreign Affairs (MoFA) has slammed the US for flooding Europe with tanks and armored vehicles. According to this report, the MChS issued their order on 16 March to companies and employers to immediately provide their workers with radiation suits and gas masks as part of the “war orders” issued by President Putin, which we had previously reported on. With these “war orders” being necessitated after the uncovering of a United Kingdom plot to launch a nuclear first-strike against the Federation this week, a situation made even graver after the arrest Tuesday (17 March) of US Navy Captain Heather E. Cole for her failing to, likewise, launch American nuclear weapons against Russia on Monday (16 March) this report continues, the Kremlin remains “alarmed” that no one seems to be in charge of the United States anymore. Raising this “state of alarm” even higher, this report says, was that Federal Security Service (FSB) Director Alexander Bortnikov has still been unable to contact President Barack Obama whom he had just met during a private White House visit a few weeks ago in Washington D.C. wherein the American leader stated he may not be able to stop this war. With massive combat operations now existing in all of the Federations 9 time zones, the MoD further states in this report, the General Staff has ordered the immediate deployment to combat status of tens-of-thousands more troops bringing the number to over 80,000 now preparing for war. The MoD further confirms in this report that the Federations strategic nuclear bombers have been mobilized in Crimea and that Iskander nuclear missiles are now being deployed in the Kaliningrad region, which borders Poland and Lithuania, too. Important to note, this MoD report says, are that the Federations military actions are solely in response to the aggressive war moves of the United States against Russia, which includes tomorrows start of the US Army’s 1,100 mile armored column journey along the western border, dubbed “Dragoon Ride”, comprised of American troops from the 2nd Cavalry Regiment and the 12th Combat Aviation Brigade (providing air support). Equally important note, this report continues, is that the threat against the Federations northern border with Norway, where thousands of Norwegian troops continue their “Joint Viking” deployment of armored vehicles and artillery against Russia, continues with no end in sight. Most ominously, however, MoD experts in this report say, was President Obama’s order this week to immediately deploy to Germany 800 tracked and wheeled vehicles, which when combined with the 220 Abrahams main battle tanks and Bradley Fighting Vehicles the US has sent to Eastern Europe, the 120 Abrahams battle tanks and armored vehicles sent to Latvia, and the hundreds of other tanks and armored vehicles stuffed into Norwegian caves for a US Marine Expeditionary Brigade (MEB)…all within the past 8 months…the addition of these estimated 1,400 “vehicles of war” to Europe by the Americans clearly show the deadly intentions of the West against Russia. Stars and Stripes News Service - “Amidst the still-ongoing crisis in Ukraine, the Obama administration is moving the last U.S. battle tanks from Germany and, thus, from Europe.At the same time, the Pentagon also is disbanding two of the U.S. Army’s heavy brigades in Germany. Last year, the 170th Infantry out of Baumholder disbanded, while the 172nd Separate Infantry Brigade at Grafenwöhr is in the process of doing the same. John Vandiver reported for Stars and Stripes, April 4, 2014, that the U.S. Army’s 69-year history of basing main battle tanks on German soil quietly ended last monthwhen 22 Abrams tanks, a main feature of armored combat units throughout the Cold War, embarked for the U.S. Rabbi Avraham Sutton – “The entire Drushey Olam Ha Tohu is devoted to showing how our world came into existence. It provides what I call the great cosmological context that we need to order to understand why our world is the way it is. Without that greater context we are at loss to figure out why our world (especially the history of our species) is so odd. The glories of that era will be astounding as our lives will be spiritually elevated and the world around us will be glorious beyond what our minds can comprehend. There will be great tribulations, but our future here on Planet Earth will be glorious. Israeli Prime Minister Benjamin Netanyahu spoke before a joint session of Congress on March 3, 2015. The second path, however difficult, could lead to a much better deal that would prevent a nuclear-armed Iran, a nuclearized Middle East and the horrific consequences of both to all of humanity. My friends, may Israel and America always stand together, strong and resolute. May we neither fear nor dread the challenges ahead. May we face the future with confidence, strength and hope? Shoved, pushed and compressed under to support and stabilize the earth fill that was under the ancient second floor within a large building structure that was discovered dating to the 10th century B.C.E. when Israel’s most famous kings, King David and his son, King Solomon ruled in Jerusalem. There the Jewish archeological team discovered the oldest known written inscription ever discovered in Jerusalem along with pieces of six other large jar of the same type of construction. There was one problem; all the archeologists are baffled at what is the meaning of the text. This 3,000 year old text of apparent Canaanite origins was discovered along the top of a large earthenware jug with the earliest alphabetical written text ever discovered in the city of Jerusalem. Though clueless as to the interpretation of the text, the letters from the left to right spell out the letters M, Q, P, H, N, possibly L, and N. According to Mazar, there is no known word known in any western-Semitic language and so the meaning of the inscription still remains elusive. Yet, Mazar speculates that the inscription could have identified the content within the vessel or possible the name of the owner of the vessel. The news articles do not suggest what it may mean by reading the letters from right to left. 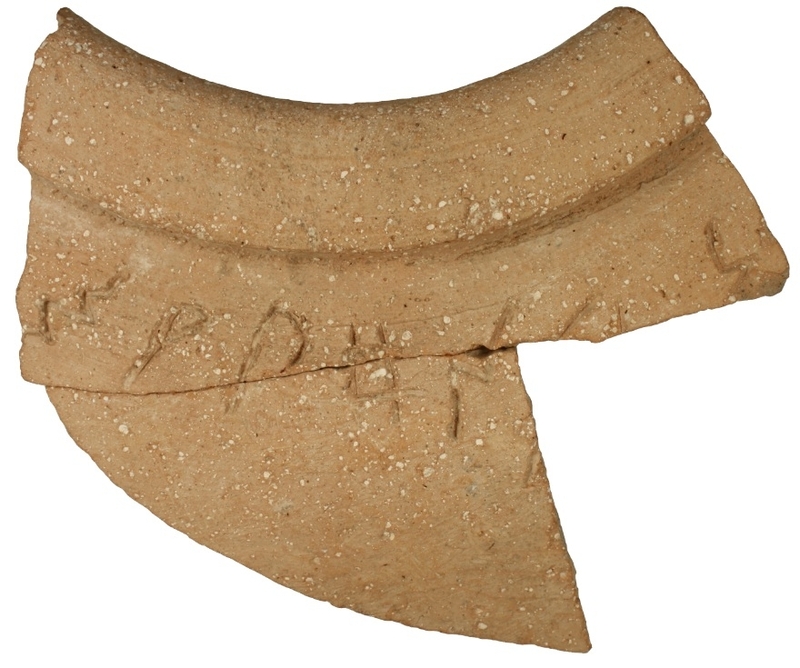 Inscribed on the clay of a neck-less ceramic jar, the clay fragment was discovered near the Southern wall of the Temple Mount near what is called the Ophel where the priests lived during their rotations of duty within Solomon’s Temple. Dated to the 10th century during the era of the beginnings of the United Kingdom of Kings David and Solomon, the textual artifact has been dated to over 250 years before the reign of Judah’s famous and illustrious King Hezekiah. This was the king ruling when King Sennacherib of Assyria penned the people of Jerusalem during a siege of the city like a canary in a cage yet whose entire army was annihilated and vaporized by a bolt of fire from the heavens estimate to have been over a million volts. According to rabbinic literature, Abraham purchased the Cave of Machpelah from the Jebusites and at that time they made a covenant with Abraham that his descendants would not take control of Jebus against the will of the will of the Jebusites. This covenant was engraved into bronze, and as such the Children of Israel in the days of Joshua were not able to conquer the mountain refuge of the Jebusites called Jebus. In the literature of the classical era rabbis, King David was also prevented from entering the city of Jebus, so he promised the reward of military captaincy to whom ever was able to destroy the bronzes. It was Joab, in the Masoretic version of the texts who led a surprise attack upon the city by ascending the water supply tunnels from the Gihon Spring, one of the most fortified regions of Jebus and later Jebusalem (Jerusalem) which included towers, which truly would have been a surprise attack, unexpected by the inhabitants living inside the city. This battle according to the Septuagint states that the Israelites now allying themselves with King David had to attack the Jebusites “with their dagger(s) which also may not be incompatible with the historical evidence as they fought their way into the city. King David, in spite of conquering the city, also according to the rabbinic history paid the Jebusites the full value of the city from money that was collected from all of the Israelite tribes, so the city of Jerusalem now became common property for all the twelve tribes of Israel. Earlier, according to the Book of Samuel, when King David desired to take control and possession of the city of Jebus, the strongest fortress in the Canaan, they gloated that even the “blind and the lame” could defeat David’s army. According to Rashi, one of the great sages of Judah in quoting from a Jewish midrash argues that the Jebusites had two statutes in the city of Jebus, with their mouths containing the words of the covenant between Abraham and the Jebusites; one figure, depicting a blind person that represented the Patriarch Isaac, and the other statute depicting a lame person, representing the Patriarch Jacob, whose thigh was lamed with his struggle with the angel of Esau. The pottery was discovered last year in December 2012 but the details of the discovery were only recently released to the public in a paper in the Israel Exploration Journal, written by Mazar, Ben-Gurion University’s Shmuel Ahituv and Hebrew University’s David Ben-Shlomo. Ahituv was the scholar who studied the inscription and Ben-Shlomo studied the composition of the jar. Until the year of July, 1993, the name of King David had not been found in archeological remains. At that time at Tel Dan in Northern Galilee, a team of archeologists under the direction of Professor Avraham Biram discovered a triangular piece of a victory pillar erected by the king of Syria that was inscribed in Aramaic. This 9th century BCE basaltic rock that was inscribed in Aramaic included the words, “Beit David” or the “House” or Dynasty” of David. Later, in February, 2005, Professor Eilat Mazar began digging at the site of the Stepped Stone Structure just south of the Ophel and the Temple Mount nearby to the Gihon Spring a “Large Stone Structure” that has been identified as the Palace of King David. Slowly the G-d of Israel is letting the revelation of the House of Judah’s royal family of Kings David and Solomon to become fully revealed and will gradually unfold into an archeological reality; real people, real places and a real living archeological history. The Battle for the Minds of the Human Race is now coming to its fullest revelation. The forces of Darkness battled against the Forces of HaShem’s angels of Light as the final battle over 2000 years ago for the souls of men on Planet Earth. It was the divine rule of HaShem that the Sheep of the House of Judah would be sent into one last exile, yet out of this epic war would set the stage for the restoration for Lost Ten Tribes of the House of Israel and the final redemption of All Israel; the Ten Lost Tribes of the House of Israel and the Jews of the House of Judah. The Roman Empire was a major part of this Drama of the Ages then and continues to be so today with its Christian descendants, the Roman Catholic Church and her children of the Christian Protestant faith. They will all be participants in the Final Act of that Divine Drama. These participants not only include the Jews of the House of Judah, the Lost Ten Tribes of the House of Northern Israel; both of the House of Jacob (Israel), but will include the Roman Edomites of the House of Esau, the brother of Jacob of the House of Isaac and the Arabs of the House of Ishmael, the brother to Isaac of the House of Abraham. This reunification will truly be a super Event of all Times that will entail Establishing Shomron (the Ancient Bible Heartland of the Patriarchs) and the Judean Wilderness as part of the Land of Israel, and preparing the “Land” for the Return of the Lost Tribes of the House of Israel and then the Redemption of All Israel. For inquiries about Kol Ha Tor Vision for the Lost Tribes of Israel, we invite you to make a personal Visit to Israel and stay at “Shomron Lives!”,a Spiritual Retreat and Guest House in Samaria, that hosts Shomron (Samaria) Tours to reacquaint the Returning Lost Tribers of the House of Israel. NOTE: Kol HaTor, in its commentaries on the weekly Parashot, endeavors to search for and accentuate the Torah Messages contained in the Parashot as applicable to the main Theme of the Tanach of the Return of the House of Israel, i.e. the Lost Ten Tribes of Northern Israel and their Reconciliation with Judah to form the reunited 12-Tribed Kingdom of Israel. Judah and 10-Israel on their Homeward Journey to the Promised Land today, experience much the same wide swings between Blessing and Calamity. Judah, who has been rebuilding the Land for the last 60+ years have enjoyed miraculous Blessings: conquering their enemies on all its borders in just six days in June 1967. While providing the world with leading technology, healing medicines and medical procedures and a wide array across all spheres of life – yet it is exposed to humiliating rejection and judgment by the world. Bound by new rules of the world about modern warfare (which does NOT seem to apply to their enemies), they have again lost the latest war (Pillar of Cloud – Nov. 2012) by not being allowed to convincingly complete it. The humiliating Cease Fire Agreement that they seem to have been forced into signing with their arch enemies and declared exterminators, within days afterwards, was followed up by the World declaring Palestine a State through a UN Vote on 29 Nov. 2012. The results of this declaration truly bodes great calamity for Israel, as will soon now become prevalent. Israel could well ask: “Where is the Blessing of Peace in an extended Homeland” which G-d had so definitively promised repeatedly to Avraham, Yitzchak, Ya’akov and others in the Bible (as also in this Parashah)? Israel, much rather, should review their own performance which should be based on the requirements of G-d – as should be the process for any person who experiences troubles in life and then assumes that “G-d has turned against them”. Our Parashah sets a paradigm for such introspection. While any realization of self-guilt and subsequent turn-around (teshuvah, repentance) may not prevent the Catastrophe from occurring in the near future, it most certainly will assist to spiritually armor those involved, to be able to stand upright through these awesome Closing Scenes of this Age, in the overall Plan of G-d.
Why such one-sided treatment by a Righteous and Caring G-d? Because, just as “Pillar of Cloud’s” abortive stalling before the conclusive elimination of the barbarous enemy who thrives on Death and not Life, simply eternalizes the unrighteous onslaught on G-d’s People, so only the convincing elimination of Evil in a direct Biblically prophesied Final Confrontation with the Almighty in the War of Gog and Magog (Armageddon) will be the only means to seal Evil and establish Peace on earth. The Joy and Peace of this New Age will vaporize all heartache and pain of the former Age – for those who will be found worthy of entering the New Age Kingdom of the G-d of Israel. Let us for these reasons search our Parashah for added inspiration, looking at how Ya’acov handled his blessed direct interface with G-d.
We can NOT be at Peace in this Land until the Evil Forces which oppose this, are convincingly conquered. After 29 Nov. 2012 it will become clear that Israel in opposing the will of the World just does not have that power needed to convincingly silence their enemies. Because of this, the rulers of Israel are constantly trapped into bending before the will of the World, in contrast to conforming to G-d’s Will. Notwithstanding all the direct intervention that Ya’acov experienced with HaShem (as also in this Parashah), he seems to have lacked the boldness and the conviction that G-d would really be with Him. He was fearful of his brother Esav whom he connived out of the birthright Blessing. He was not as bold in faith as his grandfather, Avraham, who took Yitzchak up the mountain, tied him down on the altar and lifted the knife to sacrifice the only son he had, to whom G-d’s Blessings of numerous descendants were to apply! Judah today, through their secular, leftist leaning leaders and their powerful propaganda machines, the news media, are like Ya’acov, trying to buy their acceptance by the Palestinians with kind gestures and economic grants to them, while they (the Palestinians) declare their intent to “rid the world of Jews”. Ovadiah 1:11 – “On the day the nations took the Jewish people captive, and entered the Jewish gates casting lots over Yerushalayim, you were also amongst them." We have had a replay of this ‘brotherhood’ between the Roman Catholic Church and Jew-hating Arab Islam, in just the last few days, as reports came in of how the Pope sides with the Palestinians against the ‘condemnable actions’ of Israel in the latest War, and how it also supports the acceptance by the UN of “Palestine as a State”. The traumatic result of this declaration now is that “Palestine’ has officially been acknowledged as a “State” - but have no declared and accepted borders to go by. Backed by the world and the enforcement of the World Court (the already existing Judicial arm of the One World Government), the Palestinian leader Abbas now simply has to obtain a clearance on this – and there will give one half of the current State of Israel – God’s Promised Land to the Israelites, the descendants of Avraham, Yitzchak and Ya’acov. Can Judah possibly oppose this? “Pray for the Peace of Jerusalem!” - which only seems possible through a direct confrontation by HaShem with the “nations of the world” (the One World Government?) who oppose His Intent. All that we can rely on, stand by and die for, are the Promises of HaShem which we have seen being reiterated over and over in the 8 Parashot that we have reviewed thus far – and each week confirmed by actual world events around this Topic! What is evident and clear from Scripture, is that these Final Repercussions will be used by HaShem to prove to the world that He is the G-d of Israel, when He stands as Conqueror, towering over Jerusalem, with His feet planted on the surrounding Mountains. Ezekiel 20:39-44 – “As for you, people of Israel, this is what the Sovereign HaShem says: “Go and serve your idols, every one of you! But afterward you will surely listen to me and no longer profane My Holy Name with your gifts and idols. For on My holy mountain, the high mountain of Israel, declares, the Sovereign HaShem, there in the land all the people will serve Me and there I will accept them. There I will require your offerings and your choice gifts, along with all your holy sacrifices. I will accept you as fragrant Incense when I bring you out from the nations and gather you from the countries where you have been scattered, and I will be proved holy through you in the sight of the nations. Then you will know that I am the L-rd, when I bring you into the land of Israel, the land I had sworn with uplifted hand to give to your ancestors. The following video from the late 50’s, testifies to one of the greatest national Miracles in the world – the Return of Judah to their Homeland after 2000 years of Exile. It reveals the Secret of Success behind this Return. There is another Home Coming today - even more miraculous than that of Judah (NOT to belittle the sheer WONDER of that in any way!). This is the re-awakening and Return of 10-Israel after 2800 years of exile and utter loss of identity. Spiritually even more dramatic than the Home Coming of Judah - for this Return is opposed by great forces, even from within its own midst. Many Returnees of 10-Israel do not even vaguely recognize the right Way Home, neither the Gates of Entry. The same as this video 60 years ago appealed to Jews of America for support of their brothers returning Home under dire circumstances, so, re-awakening 10-Israel today has to echo a similar appeal to their brothers in exile: "Even if no one else cares, you have to take Action:"
Even if the world opposes it and many of our 10 Tribers don’t care while they slumber and sleep in ignorance, WE who hear this appeal have to care and DO something to support and make it possible for those Ten Tribers who are confronting the realities of the Return. For one day when our turn comes, they may be willing to help us from within the Land!" "You have had your Day, Satan. Now it is ours! You have ripped our forefathers away from the One True Faith and designed the chains with which you have bound our generations to paganism. You have blotted out our true Hebrew identity, thus to bar us from the Kingdom of the G-d of Israel! You have blocked every beam of the Light of Truth and jailed us in darkness for nearly 3000 years! You have educated our spiritual teachers through centuries, in the teachings of devils, opposing every single Word of the One True G-d of Israel, the G-d of Creation! You have smeared and black-washed the True Mechoqeck (Judah, G-d's Lawgiver) who have been divinely mandated to guide us to the requirements of G-d's Torah; you have presented them to us as liars and deceivers! You have misrepresented G-d's people (the Jews) to us as inferior, a nation cursed of G-d. You have taught us to hate them! You have stolen the Promised Land from us in our absence and in the absence of Judah (whom you deported to become slaves once more, persecuted and disdained throughout the earth). You have changed the name of the Holy Land to Palestine and given it to those who want to see all Jews dead! You have blocked every possible entry route for us to Return to the Land! You have ONE driving motive behind all this evil: To prevent the Kingdom of the G-d of Israel from being established in the Promised Land of Israel! To exalt yourself to the Universal Throne - even if it requires the total destruction of all of this wondrous Creation! Well, YOU have had your Day Satan. Now it is ours! We have come to see through your lies, your venom, your hatred, your jealousy, your evil, your unrighteousness! We are returning to our Hebrew Roots, to our rich heritage given us by the G-d of Israel Whom you begrudge! We are declaring HIM, His Land and His people as "Our G-d, our Land and our People,"like a Ruth of old. Where His People go, we will go! What they suffer, we will suffer with them, and in that which they glory, we will glory with them! Your Plans will not prevail! You have failed - and you will fail even more until you are utterly doomed! We have prevailed - we have conquered! We see the Light which you have tried to conceal - and we shall continue to conquer even greater heights!" A 10-Israel Appeal to Lost Israelites. KOL HA'TOR has been instrumental in assisting new Returnees to become citizens of the Promised Land. The demand for assistance and guidance in the correct way to Return is ever increasing. Like any immigrant to any country, new comers Home face almost insurmountable obstacles: housing, work and business opportunities, re-settlement, language, culture, to mention but a few. Judah has solved this problem of its Return since the Holocaust, by establishing opportunities (businesses, farms, schools, colleges) with capital and expertise from outside Israel. Not in a million years could new immigrant Jewish returnees to Israel have done that by themselves - more so, because they came to a derelict land which had to be conquered and built from scratch. And now that it is there, now that there is an infrastructure, don’t think that it will be easier for 10-Israel to return. To the Contrary! It is far more difficult for 10-Israel because of being a totally new environment on ALL levels of Life! And to assimilate into an advanced economy and society will be far more difficult than it was for Judah who built from the foundations up. 10-Israel has NO HOPE of conquering this switch over without the help and assistance of those Lost Israelites who have to follow. And in building an infrastructure of assistance, these future Returnees are investing in their own future, for they will be able to use the same facilities one day future. In addition they will one day have the support of those who have gone before them. No Returnee would in future forget and not follow in the example of the visible assistance which helped them to settle Home. We have inspiring examples set by Judah over the 60 years and more of their Return and settlement of the Land. They developed it from a desolate, barren, pest infected land to becoming a world leader on many levels of life. It required true brotherhood and willing sacrifices of support. We have a Divine Obligation in this respect - to establish Peace in Zion, in the House and Nation of G-d. It can never be done individually, we ALL have to co-operate as one nation, one brotherhood. We have overcome the Darkness of Exile. Let us now celebrate our Freedom in UNITY! KOL HA'TOR is an informative and educational Voice of Guidance in the Wilderness, a sincere and compassionate guide, beaming out this Call, presenting information and guidelines to BOTH Houses, Judah and 10-Israel to promote Peace through Reconciliation. YOUR support of the KHT Call is YOUR opportunity to become a co-signatory of this "Memo to Satan." KHT presents you a unique opportunity to become an incorporated Activist, to celebrate our conquering of Darkness and to have our names recorded in the Book of Life as supporters and co-workers towards the Settlement of Israel and establishing Peace in Zion. How blessed it is for Brothers to dwell together in UNITY! Now watch this video to see how Judah performed the Miracle of Return. This is a movie from the 60’s with a Message and Appeal which remains true and relevant to this day. It is indeed True – that Christianity has done much and is still doing much to support Judah in their Return. But who cares to support Returning 10-Israel? If no one else cares – 10-Israel should! Unlike Judah, which remained a close brotherhood throughout the ages, and more so because of the persecutions they had to endure, 10-Israel brotherhood was splintered into myriads of self-interested fractions across the world. They never knew each other, they never needed their brothers. They became spiritually self-sufficient, nurtured and cared for by the G-d of Israel. Generally, they expect G-d to also do the rest also and get them smoothly and self-sufficiently back Home and completely integrated into His Household. Well this never happened for Judah. Their Return Home was wearisome and painful. Their re-establishment in the Land was brimful with suffering and challenge. What got them trough to great success, was hard work, dedication, persistency AND – assistance (financial and otherwise) by the Brotherhood of Judah from across the world. Physical Return for Ten Tribers, likewise, has become a near impossibility. Perhaps when 10-Israel realizes that their exile was indeed a Curse – though a Curse in which G-d did not desert them – then they would realize that Teshuvah (turning around) indeed places a great personal obligation on the individual to come straight and conquer the final obstacles in the Way. G-d has remained faithful to His Promise. He has re-awakened and spiritually restored 10-Israel to their Hebrew Roots. Should it not be incumbent on them mow, to walk the last mile Home and not to expect to be carried back? The same as Judah holds the religious Key for Return; they also revealed the Key to success through support of their brothers. Rabbi Lazer Brody – “So many people are worried that their sons prefer Torah study in Yeshiva to university. Be proud and happy, and please don't worry anymore. Hashem taught Moshe Rabbenu (The Prophet Moses) on Mount Sinai things that NASA is only discovering today, thanks to their advanced technological equipment. And, Moshe Rabbenu didn't have satellites or atomic clocks - he didn't need them. The Talmud states that the lunar cycle spans ‘29.5 days and 793 fractions of an hour’. In Talmudic terms, the hour is divided into 1080 parts. 29.5 days + 0.03059 days = 29.53059 days for the moon to travel around Earth. NASA Research concluded that the lunar cycle is 29.530588 days, two 1/1000ths of a second short of the Talmudic figure. More advanced research in Berlin came to a figure of 29.530589 days, only one thousandth of a second short of the Talmudic figure. The Sinai tradition of the span of the lunar cycle is thus corroborated by figures reached via advanced satellites and atomic clocks. Put down the astronomy book and start learning Tractate Rosh Hashana, the Rambam's laws of the new moon, and the Tiferet Yisroel's commentary on Mishnayot. If you're looking for a degree, go to university; if you're looking for wisdom, go to the Torah. The Laws of Nature given to Moses on the Mount of Sinai was given not just to Jews of the House of Judah but also to the Lost Tribes of Israel, whom He claimed that someday He was redeem and restore to the land of their forefathers. That day is coming soon when Hashem the G-d of Israel stretches forth His great hand of judgment and cleanses the earth from the great pollution of man upon Planet Earth. He will then redeem and restore His own “sheep” back into a living relationship with Himself. If you are chosen, as a Lost Tribal Member of the Northern Kingdom of Israel, your destiny is to return to your Homelands first in Shomron (Samaria), Israel. If you want to learn more, click the link and Contact “Kol Ha Tor Vision”, the Voice of the Turtledove.